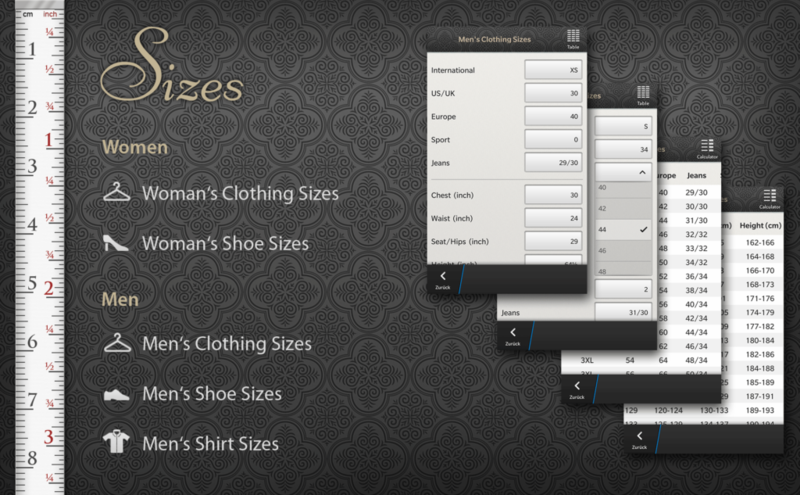 Sizes helps to convert the different systems of clothing and shoe sizes. 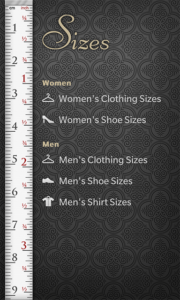 Sizes is very easy to use. 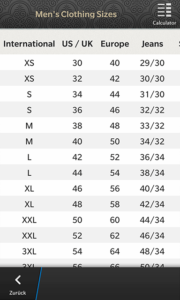 Choose a category and select the size you already know. 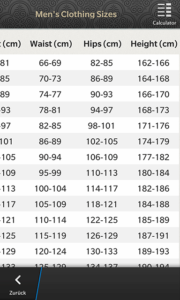 All the othere displayed values will be changed immediately. 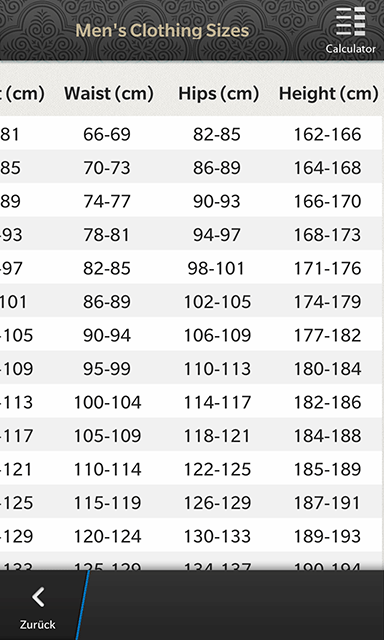 Additionally you can switch to a table-view to view all values at a glance. 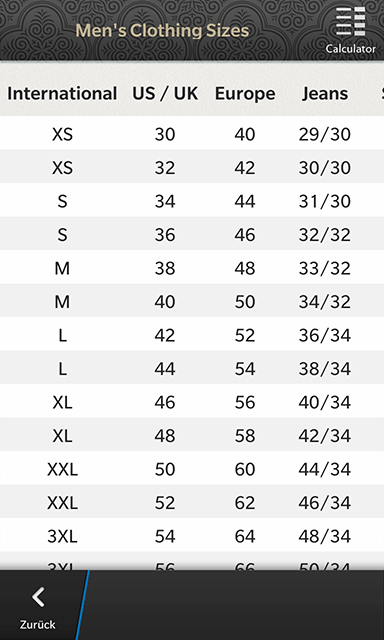 “Women’s Clothing Sizes” converts the different systems of US, UK, France, Germany, Italy, Australia and Japan. 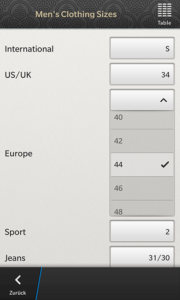 “Women’s Shoe Sizes” converts the different systems of US, UK, Europe, Japan, Australia, Mexico, length (inch and cm). 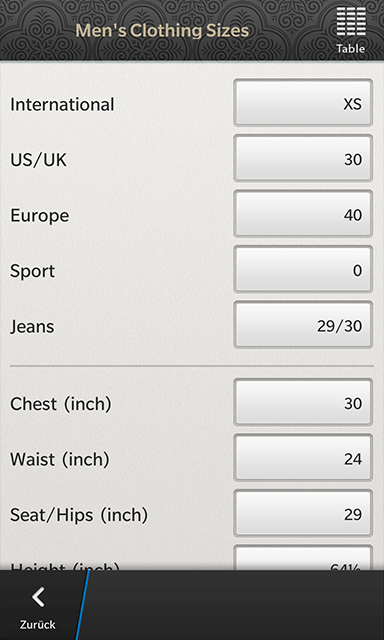 “Men’s Clothing Sizes” converts the different systems of International, US/UK, Europe, Jeans, Sport and the different body measurements (inch and cm). 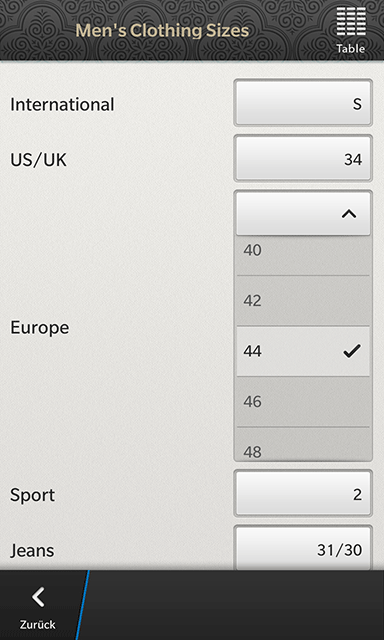 “Men’s Shoe Sizes” converts the different systems of US, UK, Europe, Japan, Mexico, length (inch and cm). 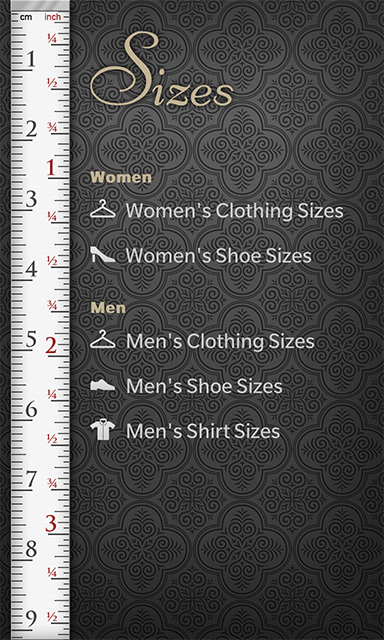 “Men’s Shirt Sizes” converts the different systems of US, Europe, Japan, Korea.